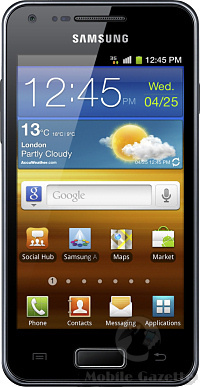 While the rumour mill is awash with speculation about the upcoming Samsung Galaxy S III, Samsung have in the mean time announced the Samsung Galaxy S Advance. Don't get excited by the name. Samsung have broken their own very new naming convention by giving the high-end "S" designation to an upper-midrange handset. 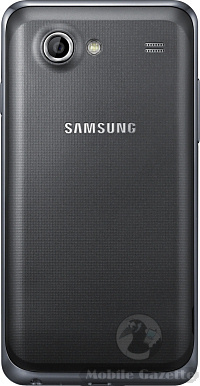 The Galaxy S Advance is one step down from the existing Galaxy R, which you would think would earn it the name of "Galaxy M", but apparently not.. but it is very much a straight upgrade to the original Galaxy S handset, which perhaps explains the name. So, although it's a very much cheaper relative of the Galaxy S II and Galaxy R, the Galaxy S Advance is still a pretty decent handset and is still better then most Android devices in use today. There's a 4.0" 480 x 800 pixel AMOLED display, a dual-core 1GHz CPU combined with 768MB of RAM, a 5 megapixel camera on the back plus a 1.3 megapixel camera on the front, and the Galaxy S Advance runs Android 2.3. Internal flash memory is either 8 or 16GB and it also comes with a microSD slot. All the usual features are here, including GPS, WiFi and 3.5G support plus a few Samsung specific software add-ons on top of the usual Android application base. Inside is a large 1500 mAh battery, and the whole package weighs 120 grams and measures 123 x 63 x 9.7mm. The Samsung Galaxy S Advance is a pretty good handset, burdened with a stupid name thought up by somebody in the marketing department. Think of it as the Samsung Galaxy M instead. Samsung say that this smartphone should be available from February in Russia and will then be rolled out in most other regions worldwide.